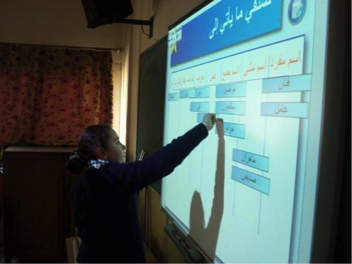 Girard school, one of the bilingual francophone schools of Alexandria, is engaged in the Quality Process “Démarche Qualité” with the CIEP- International Centre for pedagogical Studies of Sevres. Girard hosts more than a thousand students from kindergarten to High School. In this context, she chose to bet on new technologies as a motivational lever for students and as pedagogical innovation field towards new learning capabilities. It is also to anticipate and prepare young people for tomorrow’s society. 1) Improve the educational quality and strive for excellence. 2) Develop the interdisciplinary teaching to improve language proficiency among students. 3) Develop openness to the world. Increase openness of the institution to society and internationally. Educate the school community to citizenship. In recent years, digital has been fully integrated in learning styles and has been at the heart of the school project. 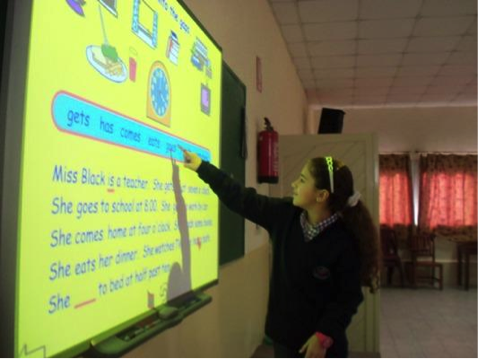 Teachers use the smartboard since 2010. It is an important tool to train and teach differently. This technology has become essential to adopt a creative pedagogy, dynamic and effective for the new generation in order to create interactivity sparking motivation and attention of the students. Teachers have received training on “Online Learning” or “e-Learning”, creation of interactive entertainment, integration of the TV in the classroom and how to have an audiovisual classroom, beginning from the school year 2012-2013. These training are offered by the French Institute, by the francophone departments of the Bibliotheca Alexandrina, and in particular the CAF. A responsible of TICE ensures coordination of activities and services. It has set up tools to facilitate internal communication and collaborative dynamics, including the updating of the email addresses list. A documentary monitoring allows teachers to regularly receive a newsletter from the Documentation and Information Centre of Girard School to keep them informed of anything new that may be relevant. The school site has developed an educational platform: We can find many interactive activities developed by teachers. In kindergarten, the teacher shows students photographs of an accomplished activity and offers students to relate their experience. In elementary school, the teachers use video footage to develop oral expression. In middle school, students often work from films or documentaries sparking discussions and related activities. The press, literary, philosophical or dramatic lead to productions presented in class. Digital activities have become integral to the functioning of the Girard School and is featured on the school site, its Facebook and Twitter page. All news is displayed as well as important announcements affecting current or former students, which strengthens the relation and communication in the school, between students and teachers, youth and adults. Since 2009 the French CDI is equipped with BCDI software. The librarian of the institution was then trained at the CRDP of Poitiers. Librarians at Girard School also encourage the use of digital tools in the classroom (Internet research, student achievement …) or proposed activities: digital correspondence, chats, and exchanges with students from France Morocco, Belgium and Algeria, and between classes from different schools in Alexandria. 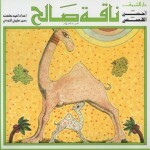 Furthermore, the CDI has subscribed to the Culturethèque of French Institute of Egypt, which offers regular competitions. The CDI promotes the realization of multimedia objects, as thematic CD (superstitions, French expressions, the human body, journey through history : Egypt / Belgium, farm in Egypt…) and also blogs, such as the one offering a culinary glossary recipes / cooking tools/figurative expressions… In 2015-2016, the fifth grade class has a project in the class of CDI, creating a blog on the journey of flat Stanley in the Mediterranean in collaboration with two foreign schools in Algeria and Corsica. Share the post "Alexandria: Girard, the school of the future"